The TerraMaster D2-310 lets you DIY your own USB 3.1 10Gbps RAID enclosure. TerraMaster's D2-310 RAID enclosure is a two-bay, USB 3.1 Gen 2 (10Gbps) box that’s extremely similar in appearance to the company's fast F2-220 NAS. In fact, it’s pretty much the same box with a different backplate and logic board. As direct-attached, USB storage options go, this one is rugged and pretty fast, though still with some shortcomings. Like its F2-220 cousin, silvery D2-310 is built like a brick outhouse, with real metal and a wide stance, making it difficult to knock over. That’s important when you have two rapidly spinning, rather fragile 3.5-inch hard drives inside. It’s also capable of housing 2.5-inch drives. Drives are installed and swapped using sliding trays, but there are no locks on the bay doors—the D2-310 isn’t for theft-prone areas. There’s not a lot to see on the back of the D2-310, just the disk mode switch, power jack, and Kensington lock port. A rather large, but very quiet fan keeps things cool. On the back of the D2-310 is a micro-rotary switch that selects the RAID or non-RAID mode of operation. RAID 0 and 1 are available, as well as JBOD (concatenated storage in this case), and separate volumes—i.e., two separate drive letters. That’s about it, aside from the reset button, power jack and orientation-neutral Type-C port. TerraMaster includes a Type-C to Type-A cable. 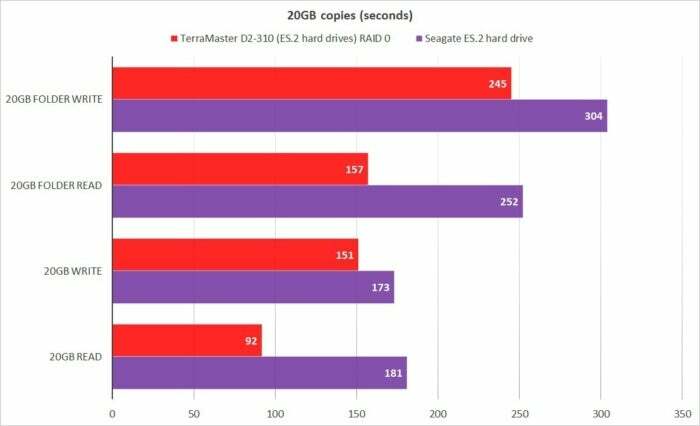 You’re on your own for Type-C to Type-C.
We tested the D2-310 and its ASMedia ASM1352R-Fast controller with a pair of Seagate 1TB, ES.2 hard drives, as well as a pair of OCZ Trion 150 MLC SSDs, to get a better handle on its possible top speed. With hard drives, the unit managed 230MBps reading and 228MBps writing, just about double the speed of the drives when they were tested individually. That’s as good as you’ll get with any product. Our only other RAID 0 tests have been with units sporting faster hard drives, so we ended the comparison there. 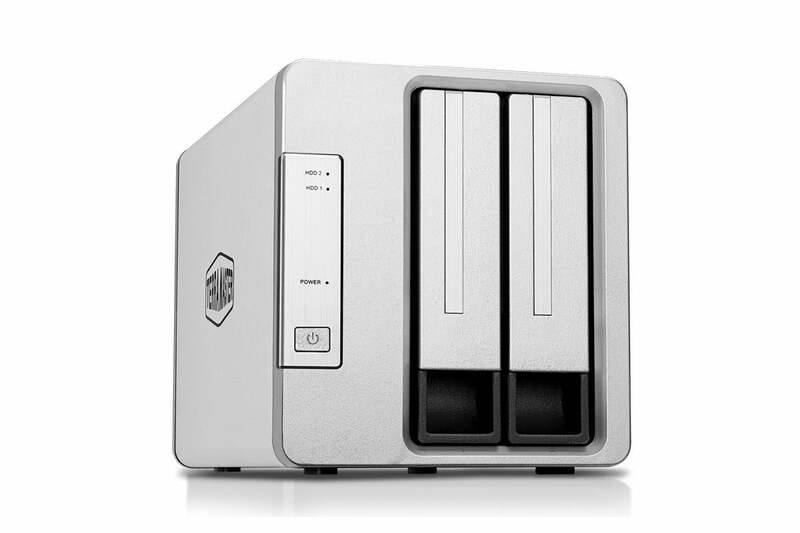 Running two Seagate ES.2 hard drives in the D2-310 in RAID 0 almost doubles their performance in some cases. 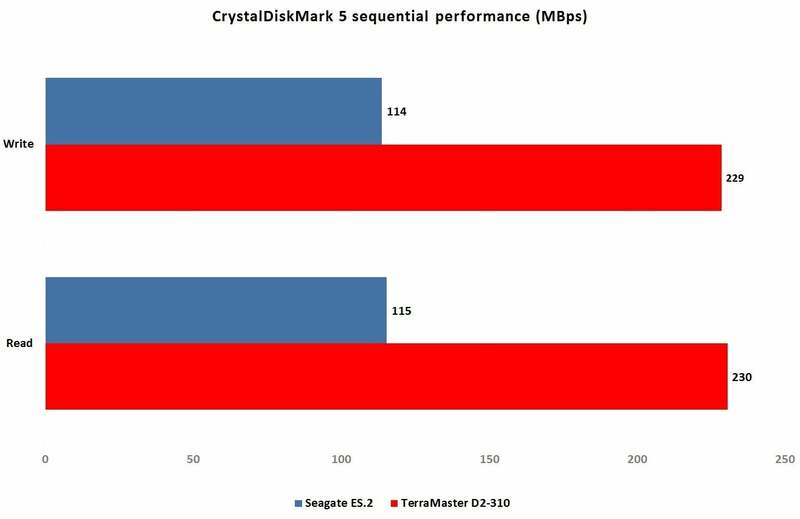 CrystalDiskMark shows a vast increase in performance when doubling up the Seagate ES.2 hard drives in the D2-310’s RAID 0 (striped) mode. With the 2.5-inch SSDs, the the D2-310 performed slightly slower than AFT’s Blackbird VX-2SSD enclosure, reading at 519MBps and writing at 741MBps, compared to 591MBps and 791MBps for the competition. But combining 2.5-inch drives, especially SSDs, is the VX-2SSD’s raison d’etre, and it can’t handle 3.5-inch hard drives. In other words, the comparison is enlightening, but not entirely fair. Note that we tested the D2-310 in all four storage modes, and it was very quick to reorient itself. Power the unit off, rotate the switch, press the reset button with the supplied tool, and we were good to go in mere seconds. 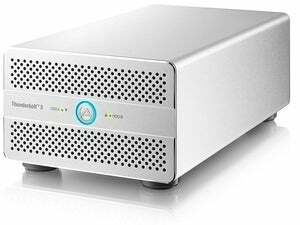 For leveraging a pair of hard drives or SSDs into faster external storage, or a mirrored backup device, the D2-310 is a great choice. At around $160 on Amazon, it’s not exactly what we’d call inexpensive, but it’s extremely well built, quiet, and looks good on your desk. Very good, as a matter of fact. 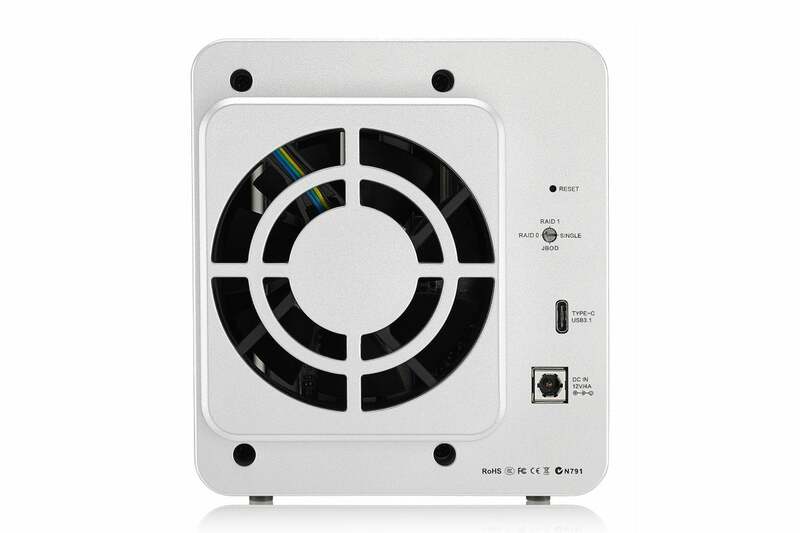 An extremely rugged and competent USB 3.1 Gen 2, 2-bay enclosure that offers both RAID 0 striped and RAID 1 mirrored modes. The D2-310 is also one of the better looking boxes we've seen. Performance is top-notch with hard drives. Our only minor complaint is that the lack of locking bay doors makes it unsuitable for less-secure environs.